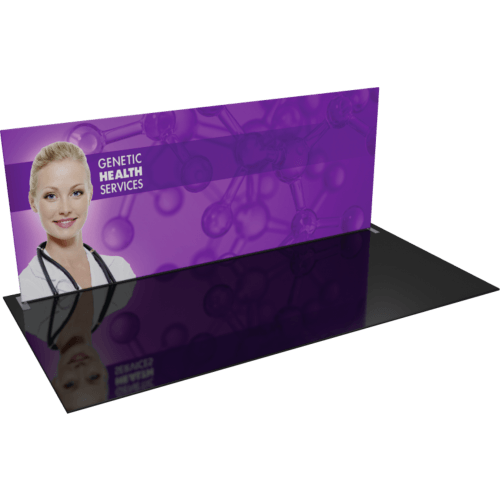 The Formulate® 20ft Master Straight backwall incorporates a sleek, straight aluminum frame with a zipper pillowcase fabric graphic to create a sharp, bold backwall that clearly conveys who you are and what you do. Print on just one side or both sides of the graphic to maximize your message and brand exposure. 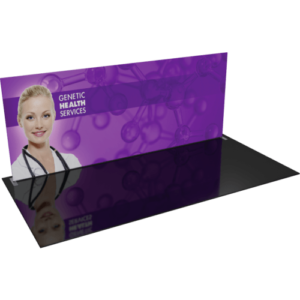 This versatile display also reconfigures easily to a 10′ unit, maximizing value.